Koddi OÜ is a leading provider of high quality welding and construction services. Koddi OÜ was founded in 2010 in Tallinn. Due to our vast experience in the industry, we pride ourselves on offering innovative and practical solutions to any requirement you may have when it comes to welding and steel construction as well as installation. We offer welding, steel constructions and installation for all needs. 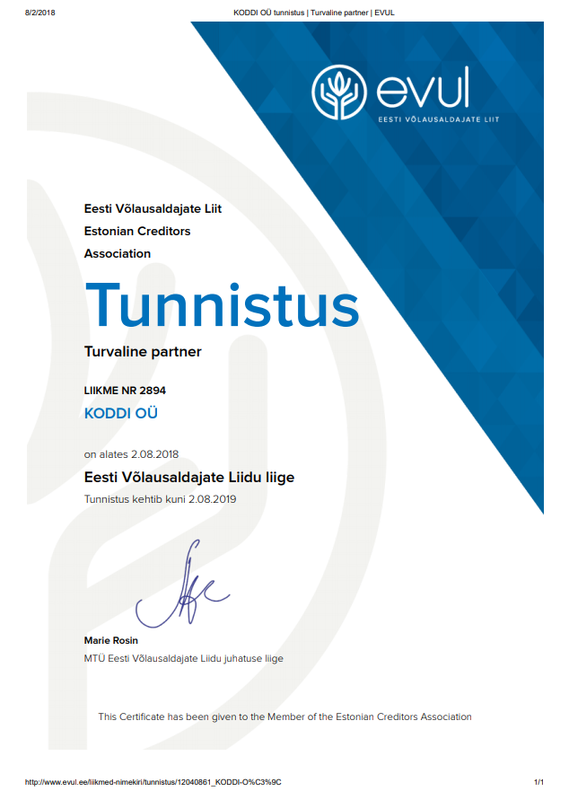 At Koddi OÜ we believe that every business and customer is unique; we do not believe in one size fits all approach when it comes to dealing with clients. Instead, we choose to listen to our customers exact requirements and then customize our products and services accordingly, so that you can benefit from the very best end result. Offer trustworthy and innovative services while considering clients exact requirements. Whether you require a special order construction of fences, gates, stairs, doors, locks, bars, sliding gates or porches, we can expertly assist you with all your requirements and do the installation. With exceptional customer service, reliability and professionalism being the cornerstones of everything we do, our ultimate goal is to provide you with the best quality service at the most affordable rates. Welding and steel construction jobs are one of the most perspective jobs in Estonia and elsewhere in the World. Welding and construction are interesting for us, because every situation needs a unique and innovative solution and approach. Welding is like an art for us.